so we can be quietly about our business of living simply. In the last few months, I’ve recognized the need for prayer like never before. My motivation started when I learned of a 14-year-old boy diagnosed with an aggressive form of brain cancer. I have never met this boy although he lives in a neighboring town. But what really struck me is that I have a boy this same age. I seemed to feel some of his mother’s pain and desperation. We pray for this boy daily to be healed. He needs a miracle that can be accomplished through prayer. Soon after, God began to show me others in need. Some I have met. Some I haven’t. While I’d like to say that I have a prayer closet where I can go and spend hours. That’s not how I pray. Most of my prayers are only a few sentences at a time. And they come at odd times during the day — not necessarily in one sitting. I pray while I drive my boys to school. I pray again with them at bedtime. We pray at meals. And I pray whenever the urge hits, I could be brushing my teeth, walking, worshipping or any other activity. As I studied I Timothy, the verse today jumped out at me. A new U.S. president takes office this week. I’ve never really been interested in politics. I have no emotional attachment like I might have to a child in need. However, we’re commanded to pray for our rulers so we can live quietly. A timely reminder, I thought. So whether you have an hour or a few minutes, take time to pray. 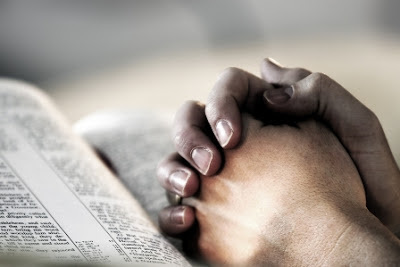 How can you work more prayer into your day? Who needs your prayer today?